Expedia has some outstanding Botricello package deals Bundling your bookings is one of the simplest ways to save time and money — and get your adventure off to a great start. Book your deal on Expedia and save up to C$590*! It really is that easy! There are heaps of amazing things you can do when you visit a new place. 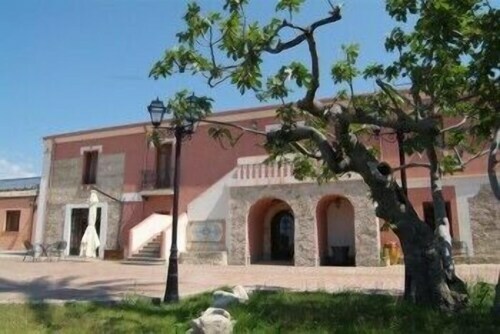 So why not get your trip to Botricello off to a great start by taking a look at some of our recommendations? After all – out there starts here! Discover the time-worn rooms, corridors and halls of Le Castella di le Castella. This impressive structure provides an educational excursion for everybody. There's a fabulous range of things to do close by. If you'd love a little spiritual enlightenment, pay a visit to Chiesa Madre. Who knows, you may even find the answers to one or two of life's most perplexing questions! Still got time to spare? Sometimes serene, sometimes powerful — few sights are as impressive as a waterfall. Secure a good vantage point and watch Cascata Campanaro plunge, splash and swirl over the edge. Heading off to Botricello? It'd be wise to secure a room for your cheap vacation or luxury getaway in advance. There are just 8 properties currently on offer. Begin your vacation on an extravagant note by sliding between the soft, silky sheets at the L'Agave (Via Beirut). Alternatively, the Agriturismo La Casa di Botro (Via Benigno Zaccagnini 2) is a fantastic place for the money-conscious traveler to spend their nights. Sitting 13 miles (21 km) away, Sant'Anna Airport (CRV) is the closest terminal to your destination. Buckle up that seat belt and put your seat in the upright position — your wonderful trip to Botricello is about to start! Situated in Botricello, this resort is 5.5 mi (8.8 km) from Marine Protected Area Capo Rizzuto and 11.2 mi (18.1 km) from Le Castella di le Castella. Valli Cupe Regional Nature Reserve and Campanaro Waterfalls are also within 16 mi (25 km). Situated near the beach, this farm stay is 5.8 mi (9.4 km) from Marine Protected Area Capo Rizzuto and 11.3 mi (18.3 km) from Le Castella di le Castella. Campanaro Waterfalls and Chiesa Madre are also within 16 mi (25 km). Botricello Station is 7 minutes by foot. 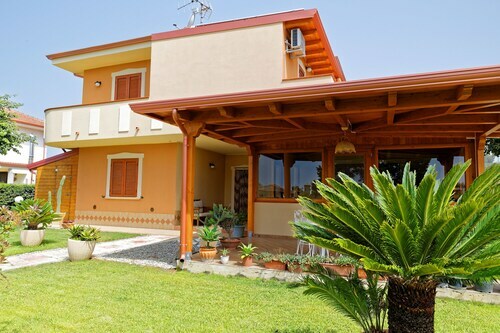 Situated near the beach, this bed & breakfast is 5.5 mi (8.9 km) from Marine Protected Area Capo Rizzuto and within 12 mi (20 km) of Le Castella di le Castella and Valli Cupe Regional Nature Reserve. Campanaro Waterfalls and Chiesa Madre are also within 16 mi (25 km). Botricello Station is 9 minutes by foot. Located in the heart of Catanzaro, this hotel is 1.9 mi (3 km) from Le Fontane Parco Commerciale and within 6 mi (10 km) of Scylletium Archaeological Park and Regione Calabria - Cittadella Regionale. Copanello Beach and Magna Graecia University are also within 6 mi (10 km). Catanzaro Lido Station is 25 minutes by foot. 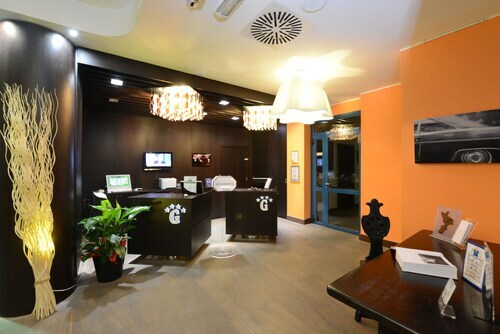 Located in the heart of Catanzaro, this spa hotel is within a 15-minute walk of Museo Del Rock, Parco della Biodiversita' Mediterranea, and Museo Marca. Complesso di San Giovanni and Piazza Grimaldi are also within 1 mi (2 km). Catanzaro Station is 7 minutes by foot. 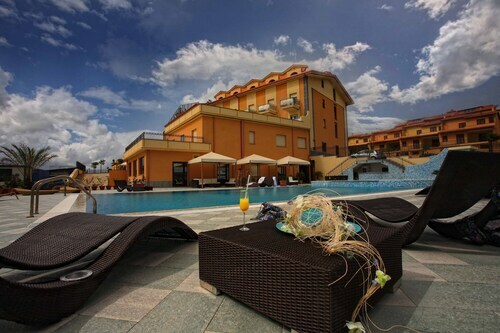 Set in Catanzaro, this family-friendly hotel is within 6 mi (10 km) of Scylletium Archaeological Park, Copanello Beach, and Le Fontane Parco Commerciale. Magna Graecia University and Mater Domini University Hospital are also within 6 mi (10 km). Catanzaro Lido Station is 13 minutes by foot. 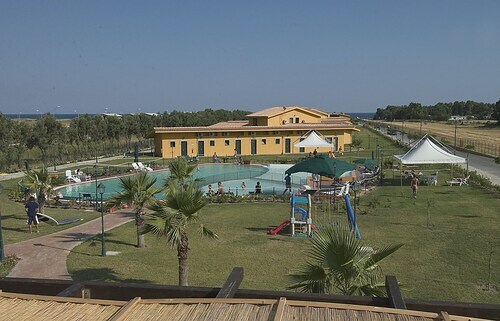 This Simeri-Crichi hotel is on the beach, 4.8 mi (7.7 km) from Le Fontane Parco Commerciale, and within 12 mi (20 km) of Copanello Beach and Parco della Biodiversita' Mediterranea. Valli Cupe Regional Nature Reserve and Regione Calabria - Cittadella Regionale are also within 12 mi (20 km). 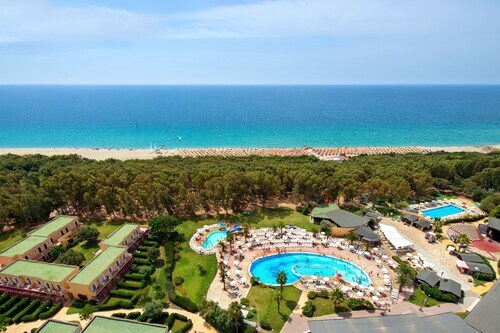 This Cutro holiday park is on the beach, 0.1 mi (0.1 km) from Marine Protected Area Capo Rizzuto, and within 12 mi (20 km) of Le Castella di le Castella and Santuario della Madonna Greca. Campanaro Waterfalls and Aquarium CEAM are also within 20 mi (32 km).